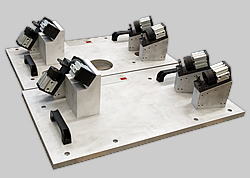 In a fixture project we assume responsibility for the totality, from initial concept through to finished product. 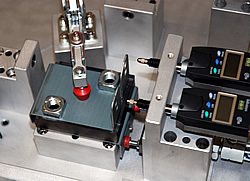 A calibration protocol accompanies all deliveries and, if the customer wishes, complete design documentation. 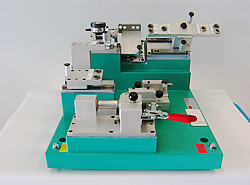 We also carry out a repeatability and reproducibility test on the fixtures, what is termed Gauge R&R. 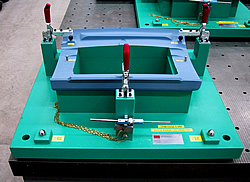 form gauges with flush- and gap check. 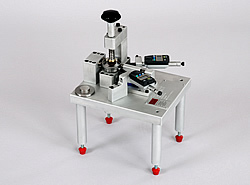 advanced gauges for automatic measurement (SPS gauges). 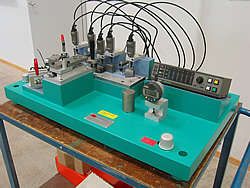 measurement set-ups in measuring machines (CMM gauges). 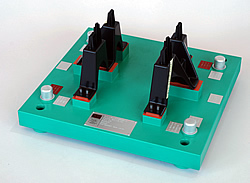 in different materials – honeycomb, plastic, aluminium or steel in accordance with the customer's requirements. 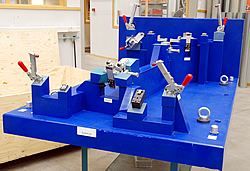 If you have any questions, feel free to contact Johnny Fälth or Peter Sandén, see "Contacts". Simple types of Go/NoGo gauges. Gauges for flush- and gap control. 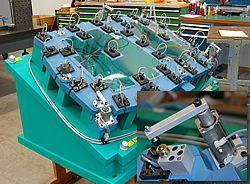 Advanced gauges for automatic measurement. 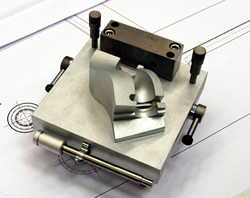 CMM gauges for measuring machines and assembly fixtures. 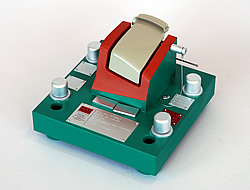 Choose one of the links for further information about our different product areas. Product development involves strict confidentiality. 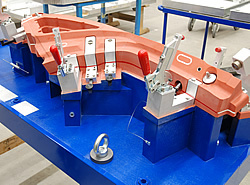 With many years' experience as a supplier to the automotive industry this is an obvious and integral part of our work.